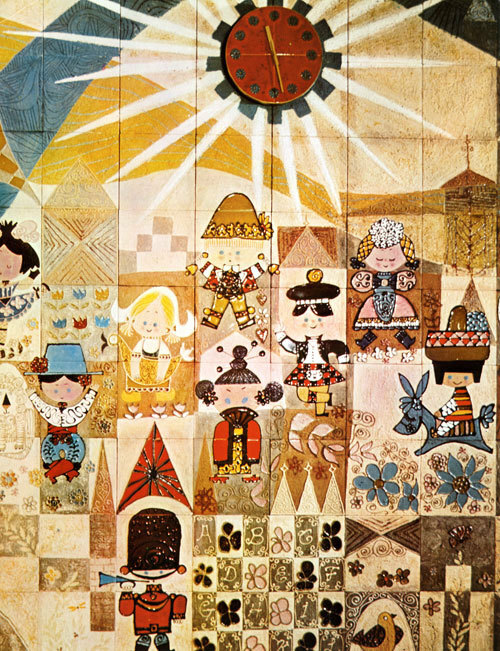 Mary Blair. Alice in Wonderland (The Tea Party). 1951. Gouache. 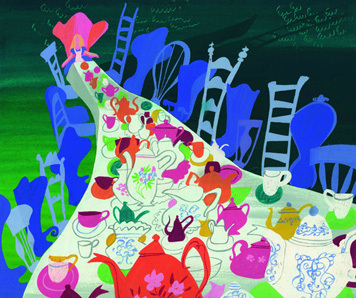 Mary Blair. Tomorrowland. 1967. Tile Mural. Mary Blair (1911-1978), born Mary Robinson, was an American artist, and best known for work she did for Watt Disney movies such as Alice in Wonderland and Peter Pan.